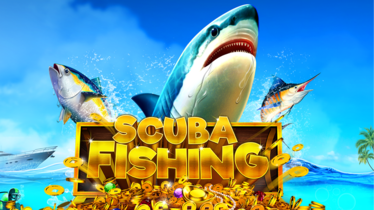 Silversands Casino is releasing a new slot called Scuba Fishing on the 19th of September after 09:00am. This new slot offers some great graphics and features for you to enjoy. Get 50 Free Spins on Scuba Fishing and take a dive into the deep to submerge yourself in this amazing underwater adventure. Wagering for this offer is set to 60 times the amount obtained from the free spins with a maximum cash out of R500. Once you have discovered Scuba Fishing with your free spins there is an awesome deposit bonus offer for you to enjoy! Deposit a minimum of R200 and get a 100% bonus up to R2,000 PLUS 50 free spins on Scuba Fishing. Wagering is set at 30 times the deposit, bonus received and amount obtained from the free spins. To benefit from these promotions you will need to have the casino software installed which you can download for free. Silversands Online Casino offers a huge range and variety of Slot Games, including games with the exciting Slot and Slot Feature Guarantee Progressive Jackpots.